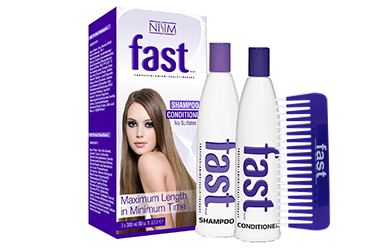 This fast hair growing shampoo conditioner works best when they are used together. Leaves your hair feeling clean, smooth and manageable. Clinically proven to grow your hair up to 99% longer faster! 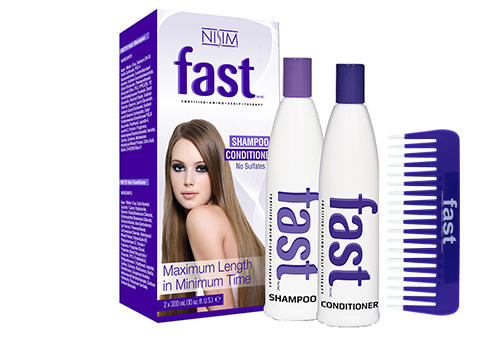 The more you use this fast hair growing shampoo and conditioner the better it works. The new formula of F.A.S.T shampoo and conditioner with no sulfates, parabens and DEA is just as effective as the original version. Included is a convenient comb is used for detangling long hair. For really stubborn hair use it in the shower with conditioner in your hair.